 FDOT Emergency Travel Alert - For information on the current situation, please vist the following page - Alerts. The Florida Department of Transportation District Four, in coordination with Broward County, is undertaking the project development for the Central Broward Transit (CBT) Phase 1 Study in Broward County, Florida. This includes a technical evaluation of the proposed construction and operation of the modern streetcar service that will be located mostly within the City of Fort Lauderdale. As part of the project’s development, an Environmental Assessment (EA) is being prepared pursuant to the National Environmental Policy Act of 1969 (NEPA). The CBT Phase 1 Project would extend the Wave Streetcar, currently being implemented, and make important transit connections between downtown Fort Lauderdale, the Greater Fort Lauderdale-Broward County Convention Center/Port Everglades and the Fort Lauderdale-Hollywood International Airport. The project will be completed in collaboration with our project partners that include the Broward Metropolitan Planning Organization, the City of Fort Lauderdale, and the Downtown Development Authority. Public Meetings are held throughout the development of the project. These meetings are intended to give interested persons an opportunity to express their views concerning the proposed project. To review previous public meeting materials and reports, please click here. Approximately 5 miles expanding in two directions from the Wave southern terminus: south to serve Fort Lauderdale‐Hollywood International Airport and east to the Greater Fort Lauderdale-Broward County Convention Center/Port Everglades.